Can you believe it? The holidays are just around the corner! 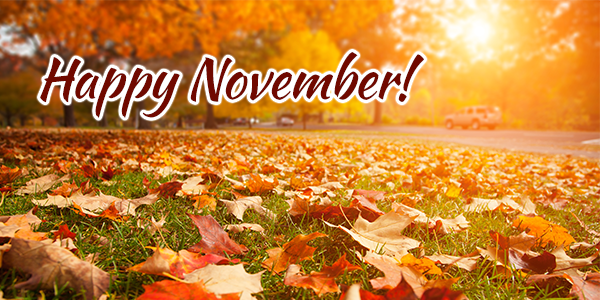 We have helpful information and useful tips in this month’s e-zine! 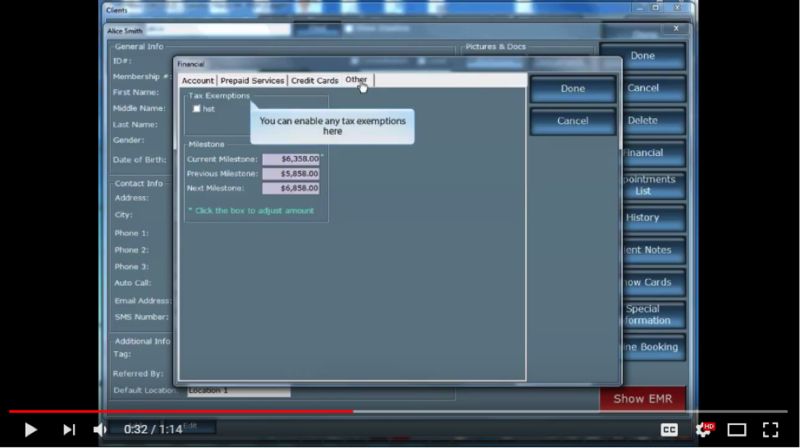 Watch the Tip of the Month video to learn how you can set up certain clients for tax exemption and read the Product Alert section to find out about our new online mobile booking site! Check out the featured article to discover ways you can apply 4 principles of growth for your medi spa and check out the special to help you plan successful events! From all of us here at MDware, we wish you a Happy Thanksgiving! 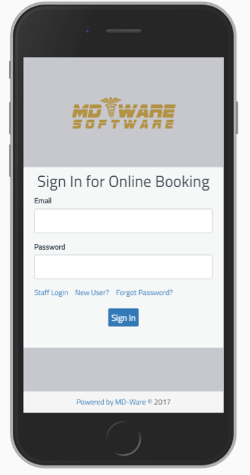 Check out the NEW Online Booking Site! look that scales to all of your mobile devices! Contact your MDware Representative today to learn more! Who do you go to when you need help with important decisions? Do you have a mentor or a role model to help navigate through important decisions regarding life or business? A Mastermind Group offers a combination of brainstorming, education, peer accountability and support to help sharpen your business and personal skills. The group challenges each other to set high level goals and accomplish them. This concept was first introduced by Napoleon Hill in 1930. He called it a Mastermind Alliance. I love belonging to mastermind groups! I offer one with the CoachMe Platinum membership. This helps professionals continue to innovate, stay focused, set huge goals and achieving them. If you have not been a part of a Mastermind Group, you owe it to yourself to check it out and join one. But keep in mind, this type of group is not for lazy, procrastinators. It’s for people who want to put their business on steroids! 2. Burning Desire is the starting point of all achievement! Burning Desire. I love this chapter from the book. I am so thankful that my dad taught me about burning desire at a young age. Desire is also passion. When you combine the two, there is no stopping you. Take a look at your own behavior and habits as well as your team’s. See if they possess burning desire and passion. If they do, great! If not, maybe you should explain to them what burning desire is and how it can affect their lives. 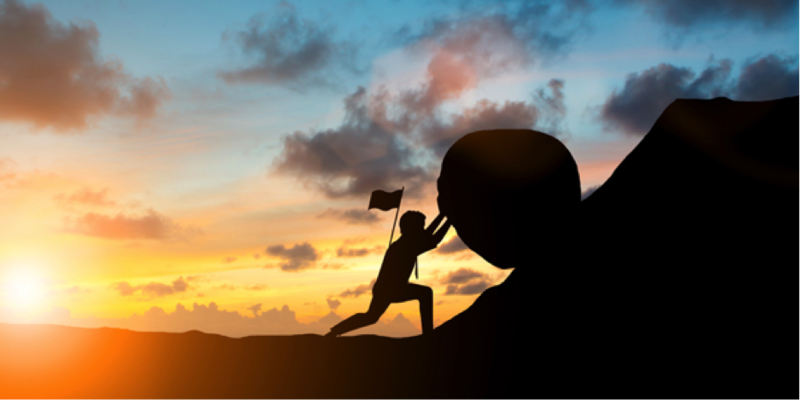 To be an over achiever, you need deeply rooted desires. That is the starting point of all achievement. Can you teach burning desire? Maybe. You can certainly be more aware of behavior and habits that will help you be more passionate about what you do and achieve more! Mr. Hill says “Whatever the mind of man can conceive and believe, it can achieve. Thoughts are things!” What thoughts go through your mind? I hear people often say, “I am not good at this” or “I don’t like to do that.” They make negative statements about themselves. Well guess what, if you are thinking that, you are right. You need to change your self-talk. Negative self-talk is a horrible thing to do. Replace it with “I am great at making Medi Spa recommendations.” “I have a great guest retention rate.” Or “I love being a medi spa professional.” Because thoughts are things, thoughts become reality. All achievements, all earned riches, have their beginning in an idea. 3. Cherish your visions, your goals, and dreams. They are the children of your soul, the blueprints of your ultimate achievements. During one of my mastermind meetings, the leader had everyone do a vision board exercise. She had instructed everyone to bring in their favorite magazines and she brought in poster boards, scissors and glue. Each person made their own vision board. At first, I thought you’ve got to be kidding me! Is she serious? But as I opened up my mind and went along, it made me realize that this is something every person should do. The amazing thing is that months later, most things on the board have become a reality. I encourage you to do this exercise and set some big goals for you and your team. Let your vision board be the blueprint of your achievements. 4. Don’t wait. The time will never be “just right.” Start where you stand. Work with whatever tools you may have at your command. Better tools will be found as you go along. Procrastination is a dream and goal killer. Don’t allow procrastination to overtake your burning desire and make you lazy. No lazy person has ever been recognized for anything great. Be an achiever, set your goals, make an action plan, and start from where you are now. Don’t let the desire for perfection paralyze you. Good is good enough. Start now! Tap into resources that are available to you. Look into all the BizTools we offer to help you get started! Your burning desire is nothing more than an accurate picture of what you will one day become. Establish in your mind what you desire. Join a mastermind group and get a mentor to help you reach a whole new level of success. Control your mind and you can control your destiny. You can start this amazing process today. Go ahead, ignite your burning desire today and live the life you want to live! Become a successful medi spa professional. Click Here to receive Dori’s book, Spa Business Secrets to Increase Profits. 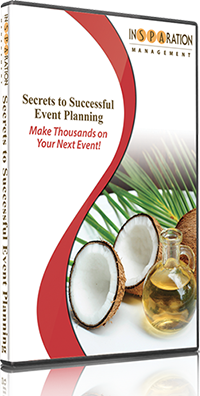 Are Your Events Generating Revenue For You? Are you looking for ways to improve your events? and Learn How to Make Thousands With Your Next Event! MDware are the makers of the industries leading Medical Practice Management Software.